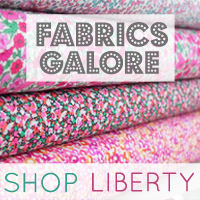 Are you looking for sewing events or fabric shows to visit? Unique sewing workshops or fashion exhibitions? 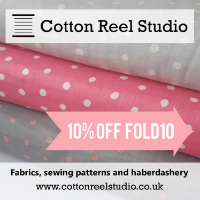 Check out our sewing calendar of social sewing events and creative festivals throughout 2019. We’ve also included fashion and textile exhibitions across the UK and beyond. 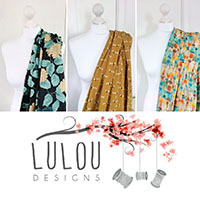 Share social events with other sewing members in our Facebook group. Add links to sewing events you’ve discovered at the end of the page and we’ll include them. Royal Women – Fashion Museum , Bath, 3 February 2018 – 28 April 2019. Fabric Africa: Stories told through textiles – Bristol Museum & Art Gallery, Bristol 30 June 2018 – 19 May 2019. Christan Dior: Designer of dreams – Victoria & Albert Museum, London, 2 February 2019 – 14 July 2019. Swinging London: A Lifestyle Revolution – Fashion Textile Museum, London, 8 February 2019 – 2 June 2019. The Embroidered Home – Hampton Court Palace, London, open now until August 2019. Mary Quant exhibition – Victoria & Albert Museum, London, 6 April 2019 – 16 February 2020. 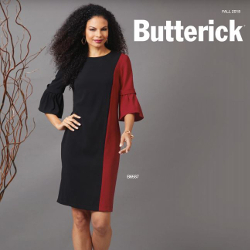 London Stitchers Meetup: Swinging London – Fashion Textile Museum, London, 2nd of March 2:45 pm. Fashion & Embroidery – SECC Glasgow, 7th – 10th of March. Sewing for Pleasure – SECC Glasgow, 7th – 10th of March. Contemporary Textiles Fair – Landmark Art Centre, Teddington, 22nd – 24th of March. The Great Stash Swap – The Village Haberdashery, London, 24th of March 2.15-4.30pm. Aberseamstress Meetup – Aberdeen Scotland, 28th of March. The Selvedge Fair – The Assembly Rooms, Bath, 30th of March. Meet the Designer: Ana Valls of Cocowawa Crafts – The Village Haberdashery, London, 30th of March 2-5pm. 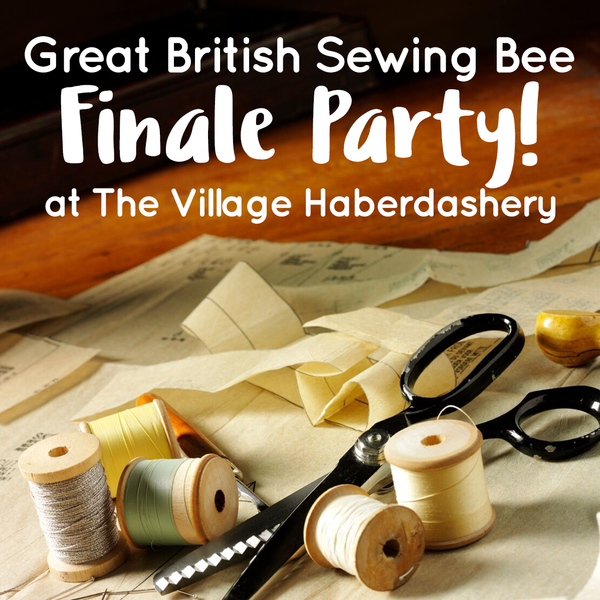 Great British Sewing Bee Finally Party – The Village Haberdashery, London, 2nd April 7pm – 10pm. Sew 2gether – South Downs National Park, Cooksbridge, 6th April 10am – 5pm. 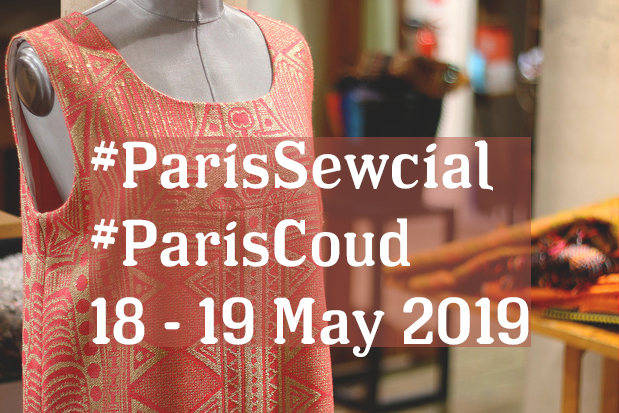 Paris Sewcial / Paris Coud – Paris, 18th – 19th of May. Harrogate Meetup – Harrogate, 1st of June 10 am. The Stitchroom Sewcial – Loughborough University, 14th – 15th of June. Bath Sews – Sewing Day – Bath Spa University, Bath, 7th of July. Sewing in Lisbon retreat – Lisbon, 17th – 22nd of September. The Knitting & Stitching Show – Olympia London, 28th February – 3rd March. Meet up, Sew by the Sea – Margate, Kent, 5th January 1.30pm. Spellbound – Ashmolean Museum, Oxford, until 9th January 2019. Springfield Christmas Quilt Show – Spalding, Lincolnshire, 7th – 8th December. SewCam – sewing meet up in Cambridge, December. Stitcher’s Meet Up – Leeds, 4th November. Stitching, Sewing and Hobbycrafts – NEC, Birmingham, November. The Knitting and Stitching Show – RDS, Dublin, 8th – 11th November. Kent Autumn Quilt Festival – Maidstone, 9th – 10th November. Handmade in Britain – Chelsea Town Hall, London, 9th – 11th November. 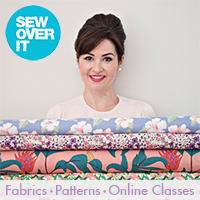 Norwich Sewcials Annual Fabric Lock-in – Norwich, 13th November. Walthamstow meet up – Walthamstow market, London, 17th November. Stitching, Sewing and Hobbycrafts – ExCel, London, November. The Knitting and Stitching Show – Harrogate, 22nd – 25th November. Handmade in Britain – Kew Gardens, London, 4th – 7th October. The Knitting and Stitching Show – Alexandra Palace, London, 11th – 14th October. Autumn Quilt Festival – Malvern Showground, 19th – 21st October. Stitching, Sewing and Hobbycrafts – SECC, Glasgow, October. Sew Brum – social meet up in Birmingham, 27th October. Back in Time for the Factory – BBC One TV series, starts 6th September. Edinburgh Frocktails – Sat 8th Sept at 7pm, organised by Sew Scottish. West Country Quilt and Textile show – Bristol, September. Handmade Fair – The Green at Hampton Court Palace, London, 15th – 17th September. The Creative Craft Show – Westpoint centre, Exeter, 27th – 30th September. Scottish Quilt Championships – Edinburgh, September. The Festival of Quilts – NEC, Birmingham, 9th – 12th August. Handmade in Britain – Royal Botanic Garden, Edinburgh, 10th – 12th August. The Sewing Weekender – Cambridge, 25th – 26th August. Great Northern Needlecraft show and Quilt Show – Harrogate, 31st August – 2nd September. Springfield Quilt Show – Spalding, Lincolnshire, 1st – 2nd June. Handmade Fair – Bowood House, Wiltshire, 22nd – 24th June. National Quilt Championships – Sundown, Esher, 22nd – 24th June. The Creative Craft Show – NEC, Birmingham, 29th – 1st July. Thread…a festival of textiles – Farnham, 30th June. Handmade Fair – Ragley Hall, Warwickshire, 11th – 13th May. Braintree Textile Fair – Braintree, Essex, 13th May. Quilts UK – Malvern Showground, 17th – 20th May. Handmade in Britain – Oxford Town Hall, Oxford, 18th – 20th May. Spring Quilt Festival, Westpoint exhibition centre, Exeter, 6th – 8th April. The Creative Craft Show – ExCel, London, 19th – 21st April. Spring Knitting and Stitching Show – Olympia, London, 1st – 4th March. Spring Quilt Festival – Imperial War Museum, Duxford, 2nd – 4th March. The Creative Craft Show – SEEC, Glasgow, 8th – 11th March. Sew for Pleasure – NEC, Birmingham, 15th – 18th March. Contemporary Textiles Fair, Landmark Arts Centre, Teddington, London, 16th – 18th March. The Selvedge Fair – Bath, March. The WI Fair – Alexandra Palace, London, March. The Creative Craft Show – EventCity, Manchester, 1st – 3rd February. Aiguille en Fete – Paris, France, 8th – 11th February. Spring Quilt Festival – Edinburgh, 16th – 18th February. CHSI Stitches – NEC, Birmingham, Trade show, 18th – 20th February. Make It / Knit and Stitch It – Farnborough, Hampshire, 23rd – 24th February. Spring Quilt Festival – Harrogate, 23rd – 25th February. A Stitch In Time, BBC 4 TV series, 4 parts, starting 3rd January. The London Textiles Fair – Trade Only, London, 10th – 11th January. VISUALise – Stitched Art Textiles Exhibition, Rugby Art Gallery and Museum, 13th – 25th January. Quilters Fair – Farnham Maltings, 14th January. Newark Quilt Show – Newark Show ground, 19th – 21st January. Spring Quilt Festival – Ardingly, 26th – 28th January. Balenziaga: Shaping Fashion, V&A Museum, London, 27th May 2017 – 18th February 2018. Revolutionary Textiles 1910 – 1939, Whitworth Art Gallery, University of Manchester, Manchester, Until 23rd April 2017. Lace in Fashion, Fashion Museum, Bath, 4th February 2017 – 1st January 2018. Stories in Stitch, Royal School of Needlework, Hampton Court Palace, Until March 2017. Fashion on the Ration: 1940s Street Style, Imperial War Museum, Manchester, Until 1st May 2017. Hand in Glove: Knitted gloves by Angharad Thomas, Bankfield Museum, Halifax, Until 14th January 2017. Challenging the Fabric of Society, Peace Museum, Bradford, Until 20th January. Undressed: A brief History of Underwear. V&A Museum, London, Until 12th March 2017. Fabric and Dress at the V&A Clothworker’s centre, V&A Museum, 20th January – 10th March 2017. A History of Fashion in 100 objects, Fashion Museum, Bath, Until 1st January 2019. Built in Tapestry: Dovecot Tapestries and Architecture, Dovecot Studios, Edinburgh, 18th May – 22nd December 2017. Beyond Borders, Whiteworth Art Gallery, University of Manchester, 20th May 2017 – 3rd June 2018. Anne Morrell, Chasing tensions – Goldsmiths, London, 24th January – 16th March 2018. Embellishment in Fashion – Hampton Court Palace, London, until March 2018. Ocean Liners: Speed and Style, V&A Museum, London, 3rd February – 17th June 2018. T-shirt cult – culture – subversion, Fashion and Textile Museum, 9th February – 5th May 2018. The Secret Life of Scissors, Fashion and Textile Museum, 9th February – 6th May 2018. Built in Tapestry – Dovecot Gallery, Edinburgh, 18th May 2017 – 17th March 2018. Frida Kahlo: Making her self up, V&A Museum, 16th June – 4th November 2018. Azzedine Alaia: The Couturier – The Design Museum, 10th May – 7th October 2018. History of Fashion in 100 objects – Fashion Museum, Bath, until 1st January 2019.